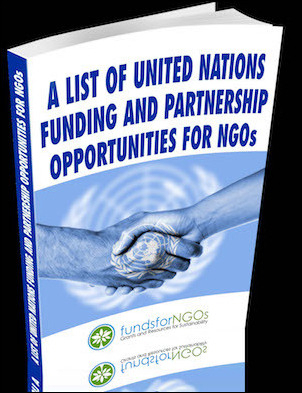 By 1948, sixty-nine NGOs had formal consultative status at the U.N. By 2015, the number was more than four thousand, many of which emphasize "universal human rights" in their mission statements. In theory, nongovernmental organizations (NGOs) that promote human rights and humanitarian aid are at the opposite pole from terror groups. NGOs gain moral and ethical legitimacy as platforms for promoting the "inalienable rights of all members of the human family." NGOs with global impact emerged in tandem with the United Nations and were designed to support the norms and institutions of the post-World War II era, including democracy, human rights, and economic development. By 1948, sixty-nine NGOs had formal consultative status at the U.N.; by 2015, the number was over four thousand, many of which emphasized "universal human rights" in their mission statements. 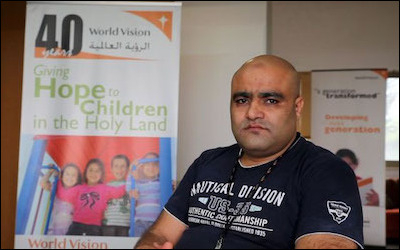 Muhammad Halabi, World Vision NGO's Gaza director, is accused by Israel of having funneled 60 percent of funds into Hamas coffers. The growth of this "NGO industry" and of power exerted outside democratic and governmental frameworks has been facilitated by large-scale funding, provided both privately and from governments through various humanitarian aid and human rights frameworks. For instance, World Vision, whose Gaza director is accused by Israel of having funneled 60 percent of funds into Hamas coffers, has an annual worldwide budget of $2.8 billion, including major grants from governments. The European Union's main democracy and human rights promotion program, the European Instrument for Democracy and Human Rights (EIDHR), grants some €160 million annually to 900 NGOs involved in 1,200 projects in over 100 countries. Other NGO funding frameworks include Humanitarian Aid and Civil Protection (ECHO), the European Neighborhood Policy (ENP), Partnership for Peace (PfP), and the EU delegations and missions located throughout the world. While NGOs related to human rights and humanitarian aid have different emphases and positions, they exert considerable influence in the media, on governmental policy, and in diplomatic and academic frameworks. This is a direct consequence of the widespread perception that NGOs embody core universal, ethical values and claim to be politically neutral and nonpartisan. In its mission statement, for example, Amnesty International declares that it is "independent of any political ideology, economic interest, or religion." NGO officials—from both human rights and humanitarian aid groups—are often given open access and freedom of movement in areas controlled by terror organizations (in return for "taxes" levied by local warlords). These officials are allowed to cross borders in war zones as VIPs, often in the company of their diplomatic sponsors. In some cases, terrorist organizations are able to infiltrate their members into the NGO structure, as allegedly happened in Gaza. In one recent case, the U.N. demanded the release of an employee arrested for allegedly diverting aid to Hamas in Gaza, claiming he enjoyed "diplomatic immunity." The dominance of post-colonialist ideology among NGO activists is a major factor explaining the moral inversion in which terrorism and violent resistance are considered legitimate while anti-terror self-defense is a war crime. In broad terms, this ideology is based on the division of the world into "victims" and "aggressors" where the empowerment of the former and the weakening of the latter is the path to peace and justice. Western capitalist society is seen as the aggressor while Third World societies (the Global South), including many dictatorships and terrorist movements—such as the Palestine Liberation Organization (PLO) and Hamas—are automatically embraced as perennial victims. Post-colonial agendas are advanced through political advocacy in the name of social justice as well as by the use of violence. Among many NGO activists, terrorism and violent resistance are considered legitimate while anti-terror self-defense is a war crime. The centrality of post-colonial ideology in the NGO sphere is reflected in their reports and campaigns, which often demonstrate strong support for the pre-defined victims. As such, post-colonial ideologues claim justification for the use of violence in the form of terror attacks, resistance, and armed struggle, including against random civilian targets. In addition, the implementation of counterterrorism by states and military forces to defend civilian populations is systematically opposed and condemned in different soft-power platforms, such as the U.N. Human Rights Council, parliamentary bodies in Western democracies, and the media. Ideological bias is also reflected in how NGO activities are not dictated by humanitarian needs or specific situations but rather reflect narrow political agendas. These organizations frequently attack Israel while Hezbollah and Palestinian violations of human rights—including terrorism and internal violence—get very little attention from the NGO community or are justified by activists and officials. [l]eaders of Human Rights Watch know that Hamas and Hezbollah chose to wage war from densely populated areas, deliberately transforming neighborhoods into battlefields. They know that more and better arms are flowing into both Gaza and Lebanon [which] are poised to strike again ... Yet Israel, the repeated victim of aggression, faces the brunt of Human Rights Watch's criticism. Bernstein also denounced HRW's adoption of the agendas of "totalitarian or authoritarian" rulers, whose opponents are "imprisoned, tortured, exiled—anything to silence them"—a veiled reference to fundraising in Saudi Arabia and the embrace of the Qaddafi regime as "human rights reformers." Instead of denouncing these regimes, Bernstein stated, "Human Rights Watch's Middle East division prepares report after report on Israel," reflecting the organization's core ideological bias, in contrast to the claim for legitimacy on the basis of universal values. This contrast is most clearly manifested in condemnations of Israeli counterterror actions. Allegations of violations include "collective punishment," "indiscriminate attacks," "disproportionate force," "violations of international law," "war crimes," etc. At the same time, the activities of Hamas and Hezbollah that are almost exclusively directed against civilian populations, including rocket and missile attacks and mass suicide bombings, receive minimal mention, or when they are reported by some NGOs, there are no campaigns that follow. NGO officials have responded to accusations of hypocrisy by pointing to the "aggressor" Israel's military power (drones, advanced missiles and more) while dismissing the rockets and other less advanced weaponry used by "victim" terrorist groups. 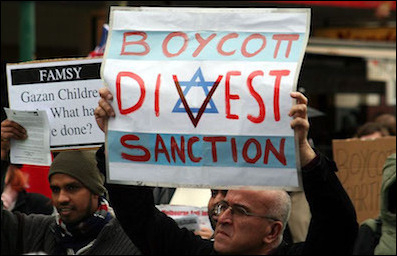 Many NGO campaigns, such as the anti-Israel BDS campaign, are largely political in nature. However, many NGO campaigns are largely political in nature: the BDS movement (boycotts, divestments, and sanctions); universal jurisdiction lawsuits against Israeli officials or against corporations or state entities conducting business with Israel; and lobbying and campaigning at international institutions such as the U.N., the European Parliament, the International Court of Justice (ICJ), and the International Criminal Court (ICC). The extensive use of legal terms such as "war crimes," "disproportionate response," "international humanitarian law," and other labels reflect aspirational rather than actual norms, but such terms reinforce the appearance of credibility and expertise for NGO claims. The impact of such NGO campaigns was illustrated in the cases of Jenin in 2002; the International Court of Justice advisory opinion on Israel's security barrier in 2004; the 2006 Israel-Hezbollah war, and the operations in Gaza—Cast Lead (December 2008-January 2009), Pillar of Defense in 2012, and Protective Edge in 2014. In each instance, attacks targeting civilians in major population centers in Israel triggered Israeli countermeasures, followed immediately by NGO condemnations alleging Israeli war crimes, crimes against humanity, and the intentional targeting of civilians—based on supposed eyewitness testimony. Media reports and political figures then repeated these unsubstantiated claims without any verification, and the U.N.—particularly the U.N. Refugee Agency—called for international investigations and war crimes trials. The NGO "halo effect" explains how the media and other actors accept the most unlikely allegations without question. Groups perceived to promote moral principles are protected from investigation, and their claims are taken at face value. One academic studying this phenomenon noted, "There is a widespread attitude that NGOs consist of altruistic people campaigning in the general public interest." Close ties were documented between reporters and NGO workers in the context of the Arab-Israeli conflict. In 2014, former Associated Press reporter Matti Friedman documented the close ties between reporters and NGO workers in general, and in the context of the Arab-Israeli conflict in particular. He described this as an "informal alliance," which "consists of activists and international staffers from the UN and the NGOs; the Western diplomatic corps, particularly in East Jerusalem; and foreign reporters" in which "[m]any foreign journalists have come to see themselves as part of this world of international organizations, and specifically as the media arm of this world." Hence, NGO claims are generally accepted as credible by the media, the general public, and decision-makers, even in cases when their arguments, allegations, and claims have no factual basis, are unverifiable, or lack legal merit. The legitimacy and influence of NGOs claiming to promote agendas based on human rights rest on moral claims and appeals to universal ethical principles. Therefore, any links to or cooperation with individuals and groups whose actions are inconsistent with or antithetical to these principles should raise questions regarding credibility. These questions in turn should also be considered by the donors—both state and private—that are essential to these organizations. In practice, NGO officials often have close ties with terror organizations or their supporters that are largely ignored by funders and allies. Amnesty International, for example, has connections to Hamas and CAGE, a prisoner's advocacy organization, as well as other groups. In 2007, Amnesty partnered with CAGE and their spokesman Moazzam Begg. CAGE has campaigned for the release of convicted terrorists, such as Anwar al-Awlaki who was involved in the 9/11 terror attacks. Begg is also an alleged Taliban supporter who espouses "jihad in self-defense." Amnesty has also extended support to Ameer Makhoul, the head of Israel-Arab NGO Ittijah, who was sentenced to nine years in prison for spying for Hezbollah, stating, "Ameer Makhoul's jailing is a very disturbing development ... [He] is well known for his human rights activism on behalf of Palestinians in Israel and those living under Israeli occupation. We fear that this may be the underlying reason for his imprisonment." In August 2015, it was revealed that Yasmin Hussein, Amnesty International's former director of faith and human rights and of international advocacy, had links to the Muslim Brotherhood and possibly to Hamas. Before working at Amnesty, Hussein was employed at Islamic Relief Worldwide, an organization banned by Israel for its financial connections to Hamas. Hussein's husband, Wael Mussabeh, holds a position in the Human Relief Foundation (HRF), which is a member of the Union of Good, an organization also banned for its funding of Hamas. Additionally, HRF listed Qatar Charity as one of its "institutional supporters"; the charity was also named by Osama bin Laden as an al-Qaeda financier. a Dr. Jekyll and Mr. Hyde, some of his time spent in directing a human rights organization, and some as an activist in an organization which has no qualms regarding murder and attempted murder, which have no relation whatsoever to rights, quite the opposite, which rejects the most basic right of all, without which there are no other rights, that is, the right to life. Khalida Jarrar, vice-chairperson of Addameer, a Palestinian NGO, served fifteen months in an Israeli prison after pleading guilty to membership in the terrorist Popular Front for the Liberation of Palestine and inciting violence. Nevertheless, the governments of Norway, Sweden, Denmark, Holland, Belgium, Spain, and Switzerland, among others, fund Jabarin's organization. Addameer (a Palestinian NGO campaigning for Palestinians in Israeli custody, mainly related to terror allegations) also appears to have close connections to the PFLP. Addameer's chairperson and co-founder, Abdullatif Ghaith, was banned by Israel from travelling internationally because of his alleged membership in the PFLP. 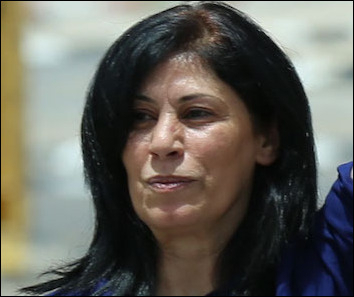 Furthermore, Khalida Jarrar, Addameer's vice-chairperson, is reportedly a senior PFLP official, and served fifteen months in an Israeli prison after pleading guilty to being a member of the PFLP and inciting to violence. Ayman Nasser, an Addameer research staff-member, was arrested on October 15, 2012, for alleged links to the PFLP. Other Addameer officials are also closely affiliated with senior figures in the PFLP. There are also cases in which NGOs and their staff have been directly implicated in support for Hamas and other groups, such as in the case of Islamic Relief Worldwide (IRW), designated an "unlawful association" by the Israeli Ministry of Defense in 2014 due to "ties to the Global Muslim Brotherhood network that provides material support to Hamas." The United Arab Emirates also banned IRW in 2014 as part of its list of organizations "deemed terrorist." NGOs and their staff have been directly implicated in support for Hamas and other terrorist groups. IRW has a history of support for Hamas: On May 10, 2006, Iyaz Ali, a Pakistani-born British national, admitted working for the NGO to transfer funds and assistance to Hamas institutions and organizations that had been banned in Israel. He also admitted working in Jordan where he cooperated with Hamas operatives. In 2006, the Israeli security forces arrested IRW's Gaza project coordinator for links to the terror group. Humanitarian aid NGOs constitute a major and largely unregulated industry often working in regions controlled by terror groups. An increasing number of journalists and academics have reported on this relationship, including Linda Polman and David Rieff. Such organizations present themselves as carefully accounting for every dollar, pound, euro, or krone that is donated. Neither NGOs nor their financial auditors can trace funds that are spent in war zones or areas controlled by terror organizations. In fact, neither the organizations nor their financial auditors can trace funds that are spent in war zones and areas controlled by terror organizations. In August 2016, the head of World Vision's operations in Gaza, Muhammad Halaby, was arrested by Israel and charged with siphoning off 60 percent of the total funding (up to $50 million) to Hamas over a period of ten years. The indictment stated that he had been trained and planted by Hamas for this task "creating fictitious humanitarian projects and doctoring inflated receipts in order to get the funds to Hamas"
based on information that has been accumulated over years, that the fund is a central player in financing of Hamas ... [and] on accumulated knowledge and experience in fighting terror and financing of terror organizations. Following these accusations, IRW submitted an incident report to the U.K. Charities Commission in June 2014 and began an internal audit. The commission issued no special advisory regarding donations to IRW; rather, its spokeswoman said that "it was satisfied that the charity was responding appropriately to the incident." But, in January 2016, the U.K.-based bank HSBC announced that it was ending all links to IRW "amid concerns that cash for aid could end up with terrorist groups abroad." Yet IRW still receives millions each year from European governments such as Britain and Switzerland, the EU, Oxfam, the U.N. Development Programme, Catholic Agency for Overseas Development, and the U.N. The Palestinian Relief and Development Fund (Interpal), headquartered in Britain, has been a principal organization for hiding the flow of money to Hamas. It was designated a "Specially Designated Global Terrorist" organization by the United States in 2003, citing its links to Hamas. The U.S. Treasury refers to it as "the funding coordinator of Hamas." A 2002 Israeli investigation found that every one of Interpal's local partner charities within the Palestinian territories was "affiliated with Hamas or works on its behalf, not only with regard to humanitarian issues but as part of its terrorism-supporting apparatus." Interpal is also a member of the Union of Good, an internationally recognized network of charities that fund Hamas. The secretary general of the Union of Good also serves as the vice-chairman of Interpal. Interpal is well-established in Britain and enjoyed the support of politicians, specifically from the Labor party and its leader Jeremy Corbyn, who toured Gaza as a guest of the NGO in 2013 and spoke at the group's events. The organization was cleared by the U.K. Commission after a number of investigations, claiming that the commission "was satisfied that the Charity had put in place a number of procedures to take account of and address the failings identified by the inquiry which required rectification." This clearance allows the British government to provide funds to the organization. The British decision is subject to ongoing criticism and debate, and in April 2016, an Interpal-funded event in Gaza featured Palestinian children simulating terrorist attacks against Israeli soldiers and praising stabbing attacks. Members of the British parliament demanded an additional investigation; in response, the Charity Commission stated only that it is "aware about concerns about the contents of this video" and that commissioners "are assessing the material as a matter of priority before deciding what regulatory action may be required." Medical Aid for Palestinians, with apparent ties to terrorist organizations, is funded by the EU, and the British, Irish, and other governments. Another U.K.-based humanitarian NGO with apparent ties to terrorist organizations is Medical Aid for Palestinians (MAP), funded by the EU, as well as the British, Irish, and other governments. MAP has transferred funds in the past to the al-Ihsan Charitable Society, which was designated by the U.S. Treasury Department in 2005 as a "charitable front for the Palestinian Islamic Jihad." MAP has also partnered with the Islah Charitable Society (ICS). ICS founder Jamal Muhammad Tawil, allegedly a Hamas member, was arrested in 2002 for his role in planning bomb attacks against Israeli civilians, and the group is designated as a terrorist organization by Israel. According to two former Treasury Department terrorism experts, ICS has been used as a conduit for funneling funds to Hamas for various purposes, including financial aid to the families of suicide bombers. was established by the PFLP; is controlled by senior PFLP operatives; makes its assets available to the PFLP; and acts in coordination with and to advance the interests of the PFLP [including active involvement in PFLP political activity]. The IHH, a Turkish humanitarian aid organization, was the central backer of the May 2010 flotilla to Gaza where participants attacked Israeli naval commandoes. The IHH is also a member in the Union of the Good. According to the Israeli Intelligence and Terrorism Information Center, the Union of the Good has transferred money via Hamas to families of suicide bombers. Similarly, the Turkish IHH (Insani Yardim Vakfi), which also poses as a humanitarian aid organization, was the central backer of the May 2010 flotilla to Gaza where participants attacked Israeli naval commandoes. As a result, several Israeli soldiers were wounded, and one Turkish-American and eight Turkish activists were killed. The IHH has been designated by Israel as an "unlawful association" in 2008 due to its membership in the Union of the Good. According to the Israeli Intelligence and Terrorism Information Center (ITIC), during the 2002 Jenin counterterror operation, the Union of the Good transferred money via Hamas charities to families of suicide bombers. In 2012, it was officially designated a terrorist organization by the Israeli Ministry of Defense. According to the Danish Institute for International Studies, the Turkish authorities began investigating IHH in 1997 after receiving information that "leaders of IHH were purchasing automatic weapons from other regional Islamic militant groups." A raid on the organization's offices turned up weapons, explosives, and instructions for making IEDs. Danish researchers also cited the investigation into IHH by French counterterrorism magistrate Jean-Louis Bruguiere that found that IHH maintained contact with al-Qaeda in Milan and Algerian terrorists in Europe, recruited militants for fighting in Bosnia, Chechnya, and Afghanistan, and played a "central role" in the al-Qaeda bomb plot targeting Los Angeles International airport. As these multiple and diverse examples demonstrate, the links between NGOs and terror groups are widespread and significant. In all likelihood, there are many more yet to be uncovered. The relationships of NGOs, operating in different parts of the world with different mandates and agendas, to terrorism and terrorists are not readily analyzed through a single framework. But some patterns emerge. That some NGOs are headed by individuals with terror backgrounds does not appear to be a negative factor in receiving grants. For clearly partisan and political NGOs, such as Al-Haq and Addameer, the connections to terrorism are readily visible. The fact that such NGOs are headed by individuals with terror backgrounds, who are potentially continuing to be active in such activities, does not appear to be a negative factor in receiving grants. For the universal and ostensibly nonpartisan organizations such as Oxfam, World Vision, Amnesty International, and others, the willingness to tolerate or cooperate with terrorists is either casually dismissed ("one man's terrorist is another's freedom fighter") or justified as a necessary evil—part of the cost of doing business. In addressing the Israeli charges against World Vision and other NGOs related to assisting Hamas, Michael Sfard, a prominent Israeli NGO activist, declared: "Even the best-organised operations have no choice but to operate in a grey zone in Gaza." In other words, the objective of assisting poor people who live in a region controlled by terrorists, as in Gaza or Central Africa, is used to justify funds and resources being siphoned off as well as NGO officials who participate in terrorism. The justification offered by Sfard and other NGO activists does not recognize the victims (in this case, Israeli) of terrorism and brutality or present any moral balance between the suffering of the two population groups—those living in Gaza and those who are targeted. By eliminating the victims of terrorism, it is easier to erase the moral issue and accept the false no-choice argument. But NGOs that operate in a terror-controlled region such as Gaza, do have a choice. They can impose comprehensive oversight to prevent diversion and theft of resources, or they can choose not to work in the area at all, understanding that the benefits do not offset the moral costs. the general population, the moral costs must be carefully weighed and not simply ignored. Similarly, governments that fund organizations that are headed by or cooperate with terrorist organizations such as Hamas and the PFLP must also be held morally accountable. The funding provided by the EU and its member states (as well as Switzerland and Norway) for Al-Haq and Addameer, and to NGOs allied with warlords and tyrants in other parts of the world, is a serious issue, yet to be addressed. In medicine, the physician's Hippocratic Oath includes the directive to "do no harm." For NGOs claiming to promote moral agendas, as well as for their funders, this principle is no less important. When the links with terrorist organizations are ignored or justified, these moral claims become meaningless. Gerald M. Steinberg is professor of political studies, the founder of the Program on Conflict Management and Negotiation at Bar-Ilan University, and president of NGO Monitor. Joshua Bacon is the director of the Israel Desk at NGO Monitor. His articles and op-eds have appeared in media including Ynet, NRG, and The Jewish Chronicle. "The Universal Declaration of Human Rights," United Nations General Assembly, Paris, Dec. 10, 1948. "List of nongovernmental organizations in consultative status with the Economic and Social Council as of 1 September 2014," U.N. Economic and Social Council, New York, Dec. 3, 2014. "World Vision International 2015 Annual Review," World Vision International, London, Oct. 30, 2016, p. 32. Compendium 2007-2010 (Brussels: European Instrument for Democracy and Human Rights, accessed Jan. 17, 2016). "Who we are," Amnesty International, New York, accessed Apr. 10, 2017. Linda Polman, War Games: The Story of Aid and War in Modern Times (London: Penguin Books, 2011), pp. 62-3, 89. Jewish News Service, Aug. 25, 2016.
ed. Israel: Geschichte und Gegenwart (Barumuller: Vienna, 2009), p. 7. "Examining Human Rights Watch in 2008: Double Standards and Post-Colonial Ideology," NGO Monitor, Jerusalem, Jan. 13, 2009. Robert L. Bernstein, "Human Rights in the Middle East," The Shirley and Leonard Goldstein Lecture on Human Rights, University of Nebraska, Omaha, Nov. 10, 2010. Robert L. Bernstein, "Rights Watchdog, Lost in the Mideast," The New York Times, Oct. 19, 2009. Gerald M. Steinberg, "The NGO Front in the Gaza War: The Durban Strategy Continues," NGO Monitor Monograph Series, Jerusalem, Feb. 12, 2009. Ken Roth, "Israel precision fire killing 4.9 times as many Gaza civilians as fighters," Twitter, July 24, 2014. Pnina Sharvit Baruch, "Operation Protective Edge: The Legal Angle," in Anat Kurz and Shlomo Brom, eds., The Lessons of Operation Protective Edge (Tel Aviv: Institute for National Security Studies, 2014), pp. 65-72. Peter Willetts, "Introduction," in Peter Willets, ed., The Conscience of the World: The Influence of Nongovernmental Organisations in the UN System (Washington, D.C.: Brookings University Press, 1996), p. 11. Matti Friedman, "What the Media Gets Wrong about Israel," The Atlantic, Nov. 30, 2014. The Economist (London), Mar. 5, 2015. "Cageprisoners and Anwar al-Awlaki—a factual background," Cageprisoners, London, Nov. 5, 2010. Dan Izenberg, "I don't support defensive jihad," The Jerusalem Post, Apr. 9, 2010. The Times (London), Aug. 17, 2015. Kyle Shideler, "Amnesty Senior Leader under Fire for Muslim Brotherhood Ties," Center for Security Policy, Washington, D.C., Aug. 17, 2015. "Defense Minister signs order banning Hamas-affiliated charitable organizations," Israel Ministry of Foreign Affairs, Jerusalem, July 7, 2008. "Who We Are," Human Relief Foundation, West Yorkshire, U.K., accessed Apr. 10, 2017. "Shawan Jabarin," Meir Amit Intelligence and Terrorism Information Center, Gelilot, Isr., Feb. 17, 2013. "Face value: The BBC and Palestinian NGOs," BBC Watch, London, Dec. 14, 2012. "Jarrar: On the 46th Anniversary of the Naksah, the way forward is unity and resistance," Popular Front for the Liberation of Palestine, West Bank, June 5, 2013. Haaretz (Tel Aviv), Dec. 7, 2015. "Ayman Ameen Ahmad Nasser," Addameer, Ramallah, accessed Apr. 10, 2017. Kyle Shideler, "Funding Terrorists," The Washington Times, Nov. 29, 2015. "List of designated terrorist organisations by the UAE," The National (Abu Dhabi), Nov. 16, 2014. "British national arrested for assisting Hamas," Israel Ministry of Foreign Affairs, Jerusalem, May 29, 2006. David Reiff, A Bed for the Night: Humanitarianism in Crisis (New York: Simon and Schuster, 2002). Associated Press, Aug. 4, 2016. BBC News (London), Dec. 12, 2014. The Telegraph (London), Sept. 3, 2014. Third Sector (Twickenham, U.K.), Sept. 1, 2014. The Economic Times (Mumbai), Jan. 3, 2016. "Oxfam International," NGO Monitor, Aug. 24, 2014. "Catholic Agency for Overseas Development (CAFOD)," NGO Monitor, May 13, 2015. "United Nations Office for the Coordination of Humanitarian Affairs (OCHA)," NGO Monitor, May 4, 2016. "Protecting Charitable Organizations: Interpal/The Palestinian Relief and Development Fund," U.S. Department of the Treasury, Washington, D.C., Apr. 5, 2016. Samuel Westrop, "Supporting Our Own Demise: Part 1," Gatestone Institute, New York, Jan. 7, 2013. "The Union of Good—Analysis and Mapping of Terror Funds Network," Israeli Security Agency, Jerusalem, accessed Apr. 11, 2017. The Daily Mail (London), Apr. 28, 2016. "Inquiry Report: Palestinians Relief and Development Fund (Interpal)," Charity Commission, National Archives, London, June 1, 2012. The Daily Mail, Apr. 28, 2016. Sara Roy, Hamas and Civil Society in Gaza: Engaging the Islamist Social Sector, Kindle ed. (Princeton, N.J.: Princeton University Press, 2011), p. 140. "Operation for the confiscation of terror funds—Background," Israel Ministry of Foreign Affairs, Feb. 26, 2004. For a broader analysis of the connections between Islah Charitable Society, Jamal Tawil, and Hamas, see Mathew Levitt, Hamas: Politics, Charity and Terrorism in the Service of Jihad (Washington, D.C.: Washington Institute for Near East Policy, 2006) and Jimmy Gurule, Unfunding Terror: The Legal Response to the Funding of Global Terrorism (Cheltenham, U.K.: Edward Elgar Publishing, 2008). "Breach of anti-terror law by World Vision Australia," Shurat Hadin (Israel Law Center), Tel Aviv, Mar. 29, 2012.
" IHH, which plays a central role in organizing the flotilla to the Gaza Strip, is a Turkish humanitarian relief fund with a radical Islamic anti-Western orientation," The Meir Amit Intelligence and Terrorism Information Center, Gelilot, Isr., May 27, 2010. Evan F. Kohlmann, "The Role of Islamic Charities in International Terrorist Recruitment and Financing," Danish Institute for International Studies, Copenhagen, 2006, pp. 10-11. "Alms for the Enemy," The Economist, Aug. 20, 2016. Reiff, A Bed for the Night, p. 26. Related Topics: Israel & Zionism, Palestinians, Terrorism | Gerald M. Steinberg | Summer 2017 MEQ receive the latest by email: subscribe to the free mef mailing list This text may be reposted or forwarded so long as it is presented as an integral whole with complete and accurate information provided about its author, date, place of publication, and original URL.